When will be Fifteen To One (1988) next episode air date? Is Fifteen To One (1988) renewed or cancelled? Where to countdown Fifteen To One (1988) air dates? Is Fifteen To One (1988) worth watching? Daytime general knowledge knockout quiz starting with fifteen contestants arranged in a semi-circle being whittled down to one. Presented by former comedy producer William G. Stewart. 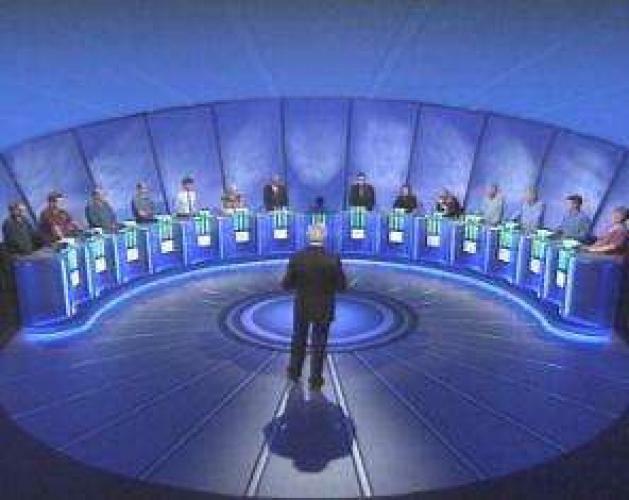 Like Mastermind the winner of each series won a trophy not money and over 24,000 contestants have appeared on the show. EpisoDate.com is your TV show guide to Countdown Fifteen To One (1988) Episode Air Dates and to stay in touch with Fifteen To One (1988) next episode Air Date and your others favorite TV Shows. Add the shows you like to a "Watchlist" and let the site take it from there.